I’m on a clarity kick. Not that being clear about what is being done, what direction things are heading, what outcomes are desired is ever far from my thoughts, but lately it feels more imperative. Several organizations I work with or have worked with have lost their development directors; will be losing their development directors; one or two probably should lose their development director. Worrisome as that is, the bigger worry is that I see them pulling out old job descriptions and simply dusting them off. Have you looked at job descriptions for development directors lately? I hyperventilate just reading them. In addition to raising more money than the organization has ever even come close to raising, these paragons of multitasking are expected to implement a comprehensive fund development program from events to grants; annual giving drives to planned giving. And in between, should master social media fundraising (as if that isn’t an oxymoron at the moment), oversee communications and marketing, manage volunteers, receipt all gifts and be proficient is one or another donor tracking system, and oh, other duties as assigned. Why don’t we just ask them to leap tall buildings? Getting clarity on what you can reasonably ask any one person to accomplish (as in “To succeed in doing”) is the first step in setting your new development director up for success. Thinking that they can do it all—any more than the last development director did—is quite simply nuts. I know, there is at least three of you who had, have, or are the most extraordinary development director ever. She/he did it all, raised millions, and never had a hair out of place. In addition to hating that person beyond any reasonable level, I also don’t believe it. More likely, this amazing person had a boss and a board who actually did their part of the heavy lifting. Still, a great development person makes sure that he or she is managing every move and coaching the board and the CEO every step of the way. Just as likely, the organization doesn’t have a clue about what fundraising is being done and is simply thrilled to death that the doors are staying open. All right. I’m getting snarky. But I hate it when good people are set up to fail. Or don’t fail but spend their time doing the least effective fundraising because that is also the most pleasing to the Board. So, clarity. 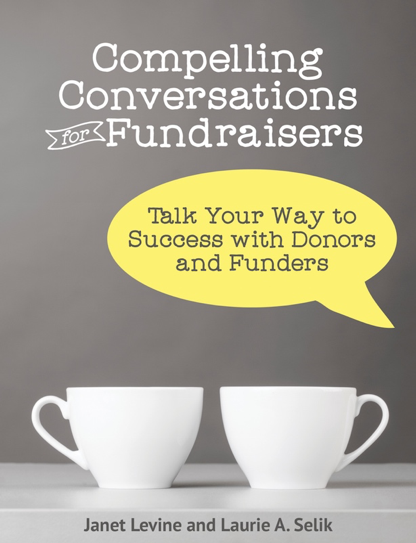 There are a lot of different ways to raise funds. Without making any value judgments, you do need to decide if you want your development director to focus on major individual gifts or in planning a party. Likewise writing grants, doing direct mail, overseeing the phone program. Each of these discrete ways (and too many others to mention) take time and skill. While many development directors have the ability to do it all, they don’t have the time to do all (or even most) of it well. And then, many development directors specialize. Before you go out to hire a development director, consider what you really want that person to be doing, and how you will evaluate the success of his or her endeavors. This entry was posted in fundraising, hiring and tagged clarity, development directors, fundraising, hiring, Job Descriptions, multitasking. Bookmark the permalink.